A San Diego hotspot for all things taco, ¡Salud! 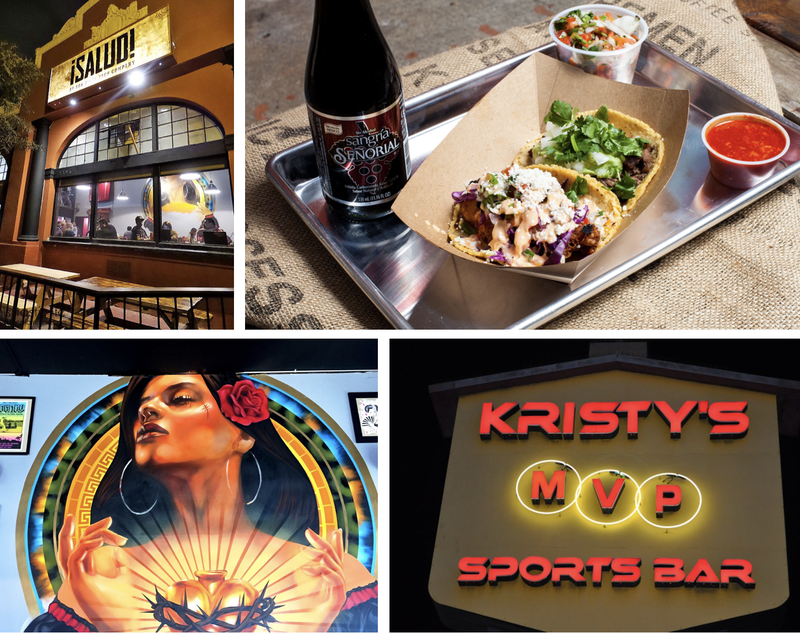 will bring their award-winning Mexican recipes to the Midway District of Point Loma as they head into the space last occupied by Kristy's MVP Sports Bar & Grill for the opening of their second location. Ernest Beccerra's San Diego Taco Company began as a one-man catering cart before blossoming into the first brick-and-mortar location of Salud in 2015. Since its debut, Salud has been packing the house in Barrio Logan with a menu of unique tacos, Mexican street food, handcrafted drinks and local craft beers. In addition to Salud & San Diego Taco Catering, Beccerra now has more than a dozen taco carts, 50 employees, and a beer and wine catering company named Pisto. Beccerra is also in the process of expanding Salud's original Barrio Logan location by 2,000 square-feet, calling the expanded space the "La Bamba Room" and offering a larger food menu, full bar, and weekend brunch. Salud's new 5,000 square-foot indoor/outdoor space at 3225 Midway Drive that housed Kristy's for nearly 15 years will be transformed into a taco mecca with custom Chicano art-installations and low-rider decor. The new taco pub will offer an expanded menu from the original location, adding burgers, tortas, entree-sized dishes, new sides, and even more tacos, as well as a full bar with cocktails, craft beer, sangria and wine. Salud is anticipated to unveil in Point Loma by this Summer. For more information, visit saludsd.com.